To celebrate the new year, families gather around a specially prepared holiday table to make wishes for the coming months. 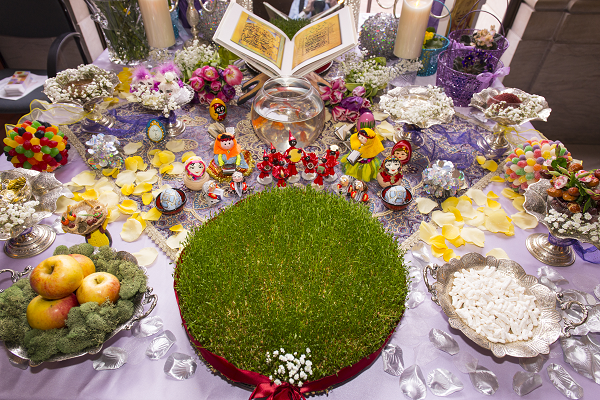 Items on the haft sin table refer to new life and renewal. Haft sin table at the Freer|Sackler's 2013 Nowruz celebration. Photo by F|S staff photographer.